The topic a few weeks ago was our childhood years. A colleague and I talked about Sesame Street and our favorite characters. He said his was Cookie Monster. Fast forward a few weeks. His birthday was coming up and his family doesn’t live in Miami. It was time to baby him and smother him with our affection because Mama is far away. 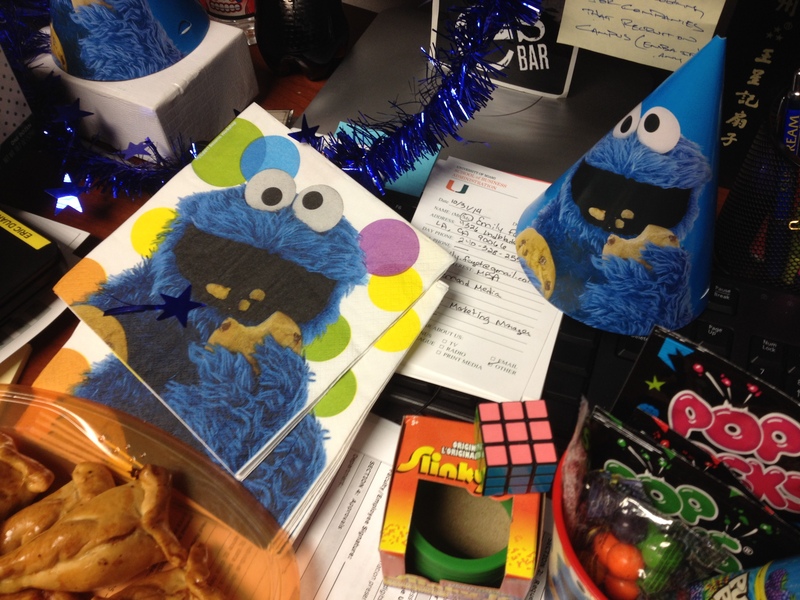 It was a Sesame Street celebration! It is a pleasure to cook but even more so when you know the person who receives the sweets will be extremely surprised– and happy! 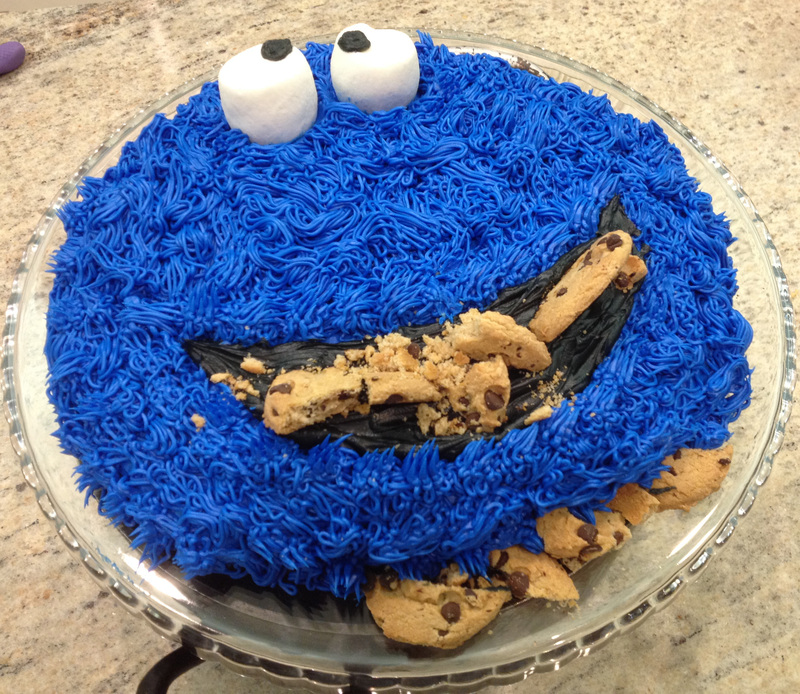 I took the Cookie Monster cake idea from this blog Jo and Sue and mostly followed the instructions, with a few adaptations. For example, I don’t have an oval baking pan so I used a round one, then cut the cake into an oval shape after it was baked. And I didn’t fill the cake with the peanut butter frosting. Oh, so cute. 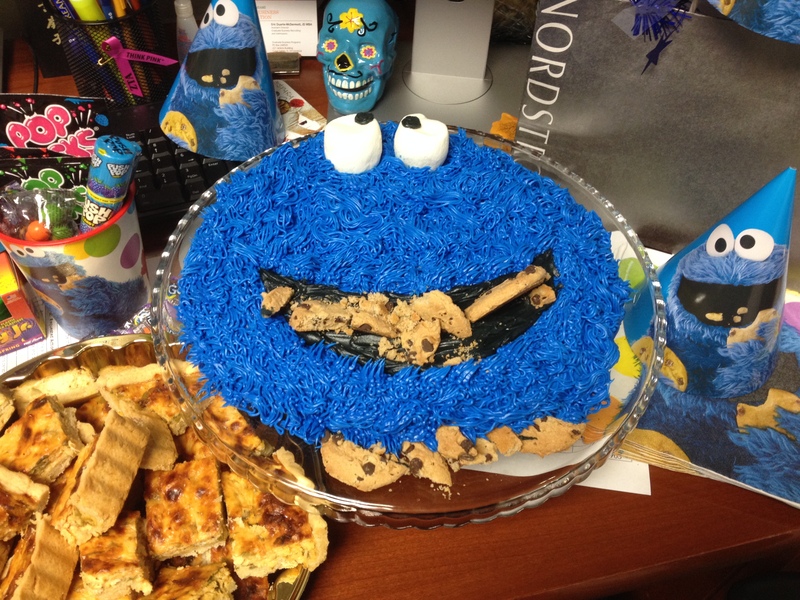 It looks like it took forever to create this little monster of a cake. Truth is, it took 10 minutes to prepare the chocolate cake batter, 30 minutes to bake…and only 20 minutes to decorate. Meu colega de trabalho ia fazer aniversário e a familia dele mora longe. Ja que a mami dele esta longe, nos, as colegas, entramos em açao. Adoro cozinhar. Este prazer é maior ainda quando sei que a pessoa para quem cozinho vai ficar surpresa e muito, muito feliz! Segui as instruções da receita mas adaptei um pouco. Por exemplo, não tenho uma fôrma oval então usei uma redonda e cortei o bolo depois de cozido. Achei que fosse ficar muito doce então nao coloquei o recheio de Peanut Butter. 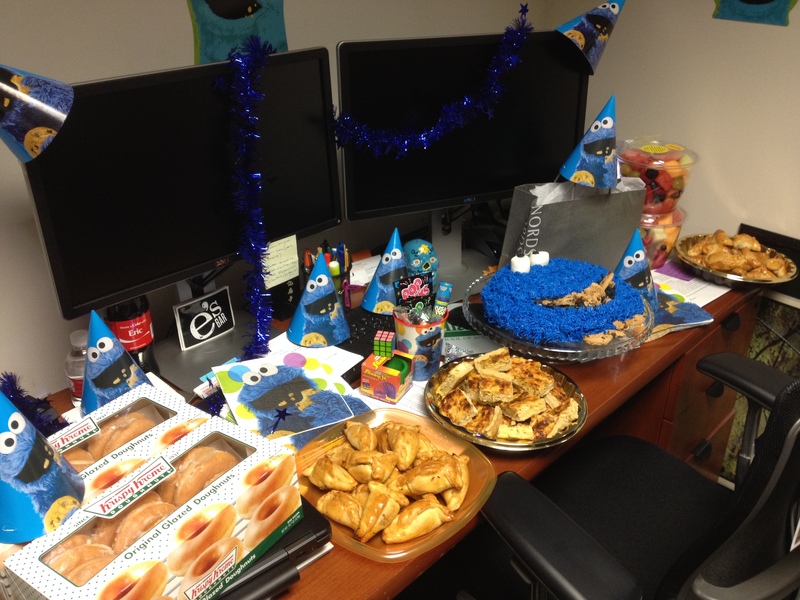 This entry was posted in Candyland, Samba in the Kitchen and tagged Cookie Monster, Cookie Monster Cake. Bookmark the permalink.